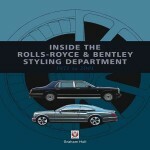 This is an exhaustive insider’s look at the process of automotive styling, using Audi as a case study. 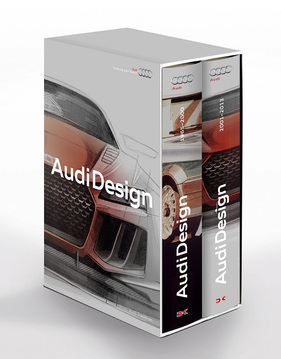 Anyone curious about car design will find this book enlightening and anyone who has the four rings tattooed on a body part simply must have it. 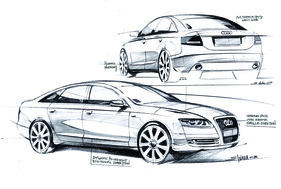 The latter group will probably already have the author’s 2005 Audi Design – Automobilgestaltung von 1965 bis zur Gegenwart (ISBN 978-3894791605), by now a standard work on the subject. Wickenheiser considers the new book a “continuation” of the old one. 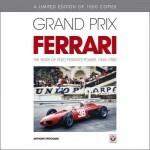 And while the new book does pick up where the other left off—Audi having put out more designs in the eight years since the first book came out than it had in the entire forty years prior—it also deals with the pre-1965 history. Specifically, it begins in the mid-1940s with a discussion of industry-wide and in fact global design trends such as pontoon-style (first shown by Kaiser-Frazer in the US) and tail fins. There is plenty of reference to other marques here so, again, even the non-Audi reader will find much of universal usefulness. Also, throughout, the book often crossreferences highly styled consumer goods from household appliances to art furniture, even fashion. 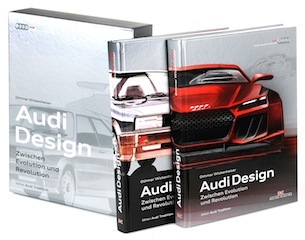 This book has Audi AG’s fingerprints all over it—in a good way! 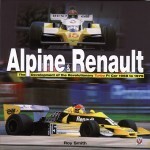 Audi is the publisher of record, Wickenheiser (b. 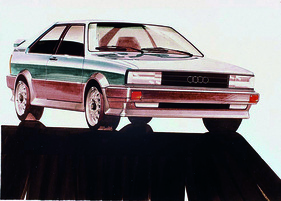 1962) was an Audi designer in the 1990s (under design chiefs Hartmut Warkuß, J Mays, and Peter Schreyer, and the firm’s design department had a hand in the layout. Wickenheiser is first and foremost an academic, a scholar beholden to the rigorous pursuit of facts—which means he is not averse to following an objective analysis to a critical conclusion, even one critical of Audi. To emphasize the latter it would be good to know something the book doesn’t spell out, what with not blowing one’s own horn and all that. He was Germany’s youngest design professor when he switched to academia in 1996, is a founding member of the German Design Council, a subject matter expert on the International Council of Industrial Designers, has implemented industry-changing practices in regards to exposing his students to real-world experiences, and is a widely published and consulted theorist who still considers his practical experience as a car designer a dream job. (There’s only one job he’d like better: being a jazz pianist.) And while he does consider Audi’s Multi Media Interface the most beautiful car detail of all time, the Porsche 911 tops his list of most beautiful cars ever. Wickenheiser is keen to set a higher bar than other design writers and lays out the formal criteria for his discipline, encourages the reader to go the extra mile and become familiar with the jargon (a Glossary is part of the book), and casts a wide net to school the reader’s eye to apprehend that which every product designer worth his salt wants to covey to the people they design for: “styling” is not just about making things subjectively pretty. 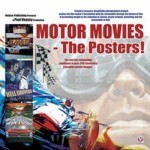 So, following the aforementioned 1945–65 preamble the book offers, by era and model, a detailed discussion of all aspects of the design process from initial brief to execution on a car, including concept cars. Every character line on the exterior and every switch on the dashboard is there for a reason—not necessarily one every customer can relate to. If you don’t foresee an Audi in your garage, how about their sports gear (bikes, skis) or at least a foosball table or a wristwatch, luggage, or the ($140,000!) Bösendorfer Grand or Leica camera? Obviously the book doesn’t just look backward but forward too. Appended (to vol. 2 are mini bios of Audi design chiefs, a list of design awards, Glossary, Chapter Notes, and Sources / Bibliography; no Index. 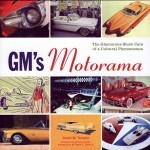 The carmaker’s role in this book surely accounts for one other thing: the affordable price. A 640-page, 10-pound book with all the bells and whistles doesn’t happen for €98 unless someone swallows some of the cost. Won the German Design Council’s 2015 award for design at the Automotive Brand Contest.